Beautiful, tasty, crunchy, healthy – just a few words that come to mind when I think about carrots. Raw or cooked, sweet or spicy, juiced, fermented, pickled and baked – carrots have so many uses. Carrots are a must have in the garden. During World War II my mom (at that time a child) was sent away into the woods with her family. They had not much to eat and were sent there to work and die. But relatives mailed them a carrot seed package. My grandma planted the seeds and started using the little carrots as soon as she could. My mom remembers pots and pots of carrots that grandma would simmer for meals. My mom is convinced that those carrots saved their life. The more the carrots grew and the more they ate from them, the stronger they got. Finally they were able to leave that place of death and survive the trip back home. Carrots have a special place in our family history. Carrots come in all kinds of colors and shapes from black to purple, red, orange, yellow, and white. Also long, short, round, thick, or thin. There is a carrot variety for every letter of the alphabet and a carrot museum page where you can find all kinds of interesting information. 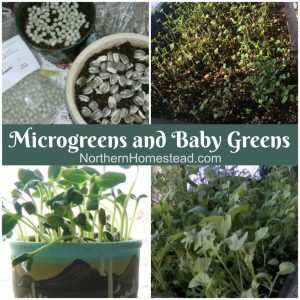 In a home garden it is good to find a variety best suited for your climate, soil, and taste. Carrots are cool weather crop and grow well in our short summers. In our heavy soil we like to grow thicker carrots like chantenay (short and stout) and denver (wide shoulders, and a slowly tapering cylindrical shape) as well as nantes tipe (round at the top and round at the bottom). The long and straight imperator type carrots are not so much our favorite. Also multicolored and mini carrots are fun to grow, but not our regular crop. Our favorite I think is Bolero (see picture, a great winter keeper, sweet and overall a good carrot). All carrots are biennial, meaning they go to seeds the second year. 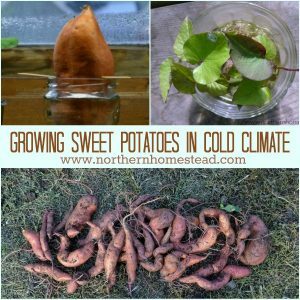 That also means that they can be kept in the soil all winter long. More about this in harvesting carrots. Carrots can be planted almost at any time of the season, when soil temperature is higher then 7C (45F). With some protection you can grow some very early or late sweet carrots. In warm areas carrots are best grown in the winter as a winter crop. Carrot seeds are very small and hard to handle. 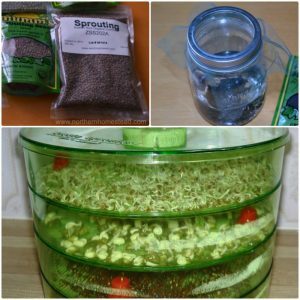 To make planting easier you can get Pelleted Carrot Seeds. Since those are more expensive, you can also make your own seed tapes using toilet paper. 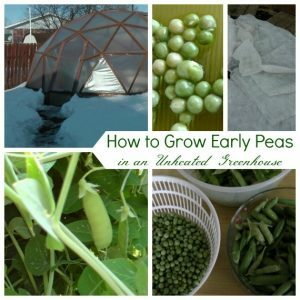 Those can easily be made ahead of time in the winter eliminating thinning work in the summer. Or carrots can be planted with tweezers, mixed with sand, or by using a Seed Sower . In the Square Foot Garden Book it is suggested to plant 16 carrots per one square foot. Even when grown in rows, it is a good idea to plant a double or even triple row planting them 2 inches apart in the row. This way you can grow lots of carrots in very little space. 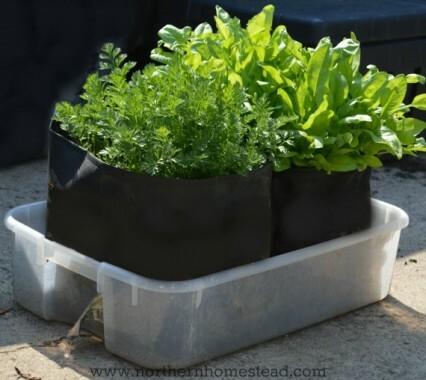 Carrots can also been grown in a container, grow bag work best for vegetable container gardening. 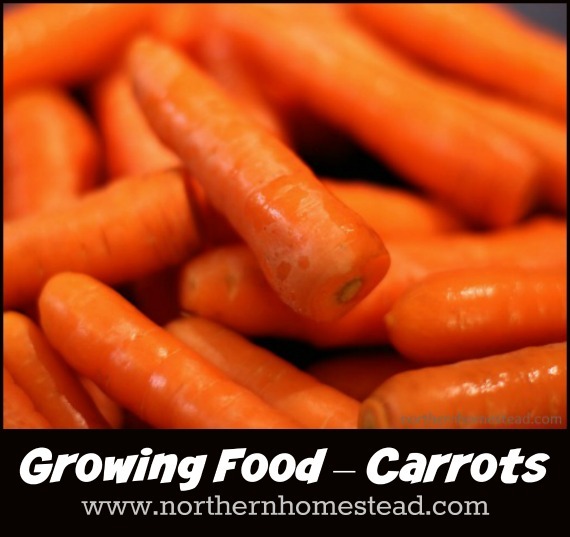 You can grow 16 carrots in just one bag! Carrots have a long germination time of 14 – 21 days. Whenever I start wondering if they will ever come up, they do. If sown to close they need to be thinned to get bigger and better carrots. 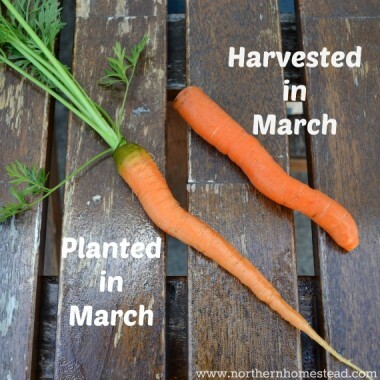 If you want winter or spring carrots, plant them a bit later, depending on your weather. Here in Zone 3 we plant them late May to early June. 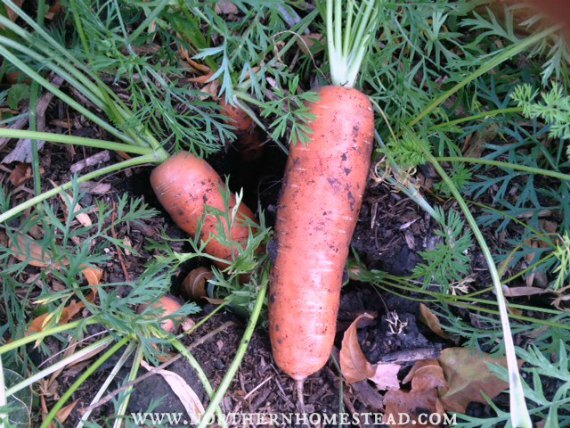 Choose a location for the carrots with covering them for winter in mind. One where the snow accumulates anyways is best. If there is a blizzard carrots need extra protection and snow is the best insulation in addition to the straw. Carrots can be harvested at any size, but develop more flavor with maturity. Also the cooler it gets, the sweeter carrots will become. Even in our zone 3 it is worth it to leave carrots as long as possible in the ground. We have harvested the sweetest carrots in November. To be able to harvest carrots in the middle of winter or even spring they need protection. If you get a lot of snow, that might be enough to keep your carrots from freezing. If snow is not as reliable and winters are cold, carrots need a good layer of straw. We also like to add tarp to the straw to keep them from getting moist. Here is step by step in picture what we do and it works for us here in our cold Alberta winters. 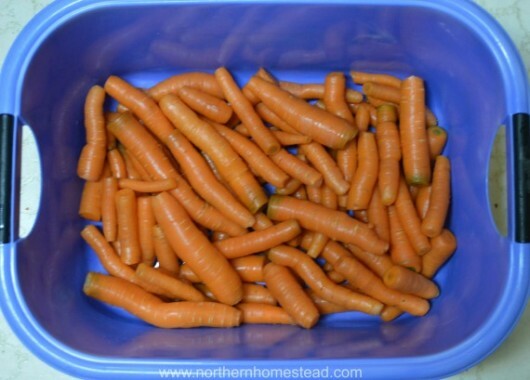 It is important you have the carrots covered before the snow comes and the ground freezes. 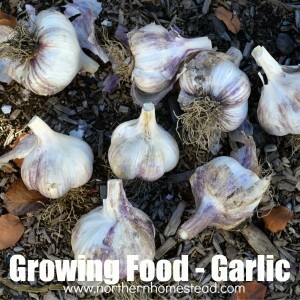 We did not enjoy harvesting them in the winter, so we just leave them till spring (March). In fall before frost cover the carrots with straw. Cover the straw with tarp and leave all winter long making sure during blizzards and extreme cold that there is a thick layer of snow on top of the covering. 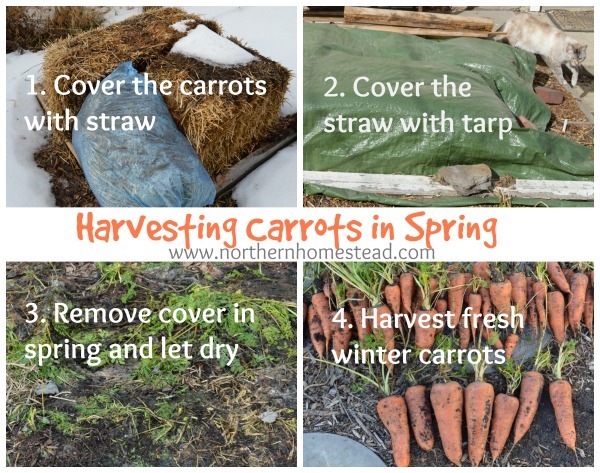 Remove cover in spring and let the carrots dry. 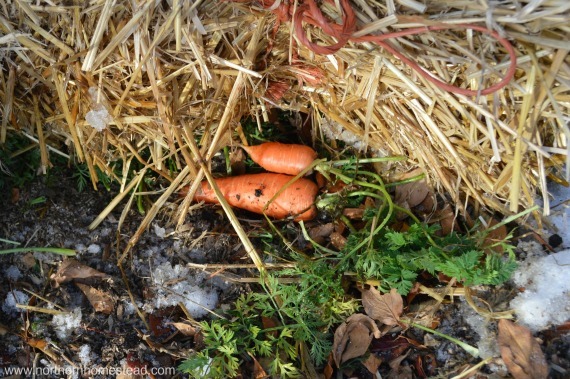 In March, carrots that were left under straw and snow, were still good. We ate the last carrot (harvested in March) and the first carrot (Planted in a greenhouse in March) the same day in June. Both were supper yummy. Carrots store best in the ground (see harvesting carrots), but also in the fridge and a good cellar. The tips on how to store them vary. I think it mostly depends on your weather (temperature and humidity). Find what works best for you. We store ours in plastic bags in the fridge. They keep best in the GreenBags Freshness-Preserving Food/Flower Storage Bags washed and cut off both ends. We also put some paper towel in to catch the moisture inside. The carrots store well this way for at least 3 months. Hope this post encourages you to grow and preserve more yummy carrots. Oh how nice, I would love to be able to go harvest any time of the year. Love your floating garden! 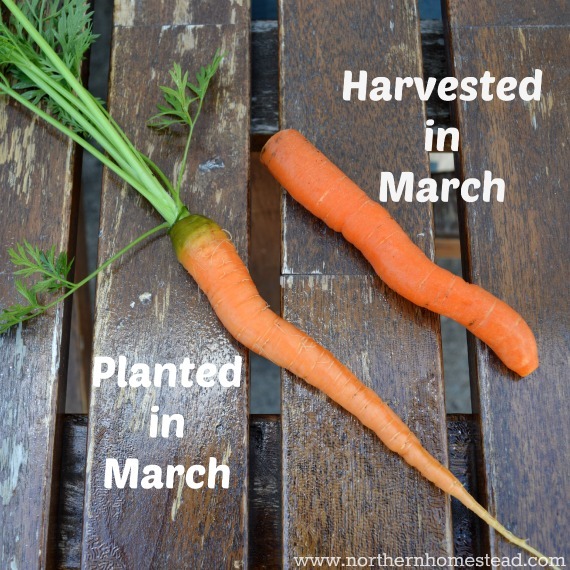 I was just thinning my carrots yesterday so this post was quite timely. I’m hoping to get a nice harvest this year with carrots that look like the ones in your pictures! Last year I got a lot of small carrots (combination of not thinning enough and a dry late summer) so to preserve them I cut them and pressure canned them with onions and kale for a soup base. Your onion, kale, carrot soup base sounds yummy. I like it when carrots get big, less washing for more carrots ;). Hope yours grow well for you! Oh, my mistake, will fix that – Thank you! Love all your information about carrots. Thanks for the excellent information, you always inspire! I grew my first batch of carrots this year. They are all hidden under my squash plants, hopefully growing well. We shall see! I’ve never grown them before, we have rocky dirt that makes it hard to grow them. 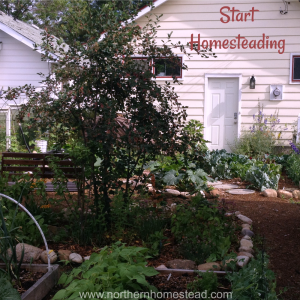 Thanks for sharing on the Homestead Blog Hop! Hope your carrots grow well. If they are covered with the squash leaves, you might want to cut some leaves back, to give them some sunshine. Carrots like it sunny ;). Also, thank you for sharing your family’s history with carrots. It was very interesting! You are welcome. 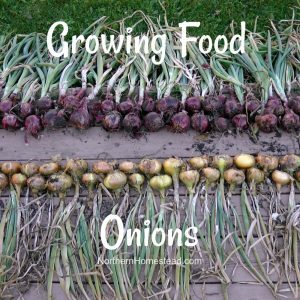 I cherish that history and am very grateful that we can grow our own food. I am so thrilled to read your blog!! I garden in Northern Alberta. I believe my zone is technically 2, but I can grown zone 3 perennials in my yard. I love all your tips and advice, and am so enjoying back reading your posts. I have done a bit of experimenting with preserving carrots. The very best carrots were the ones that I buried in the ground in the Fall. I received a huge amount of carrots from a friend and didn’t have room to store them in my cold room (I had already filled my cold room with my own carrots). I dug a hole in my garden and put all the carrots in, covered with dirt and straw. In December I was nervous that they were going to freeze if I left them much longer so I dug them up. I think I could have left them as the straw and snow were doing a great job at not letting the frost get down. Those were the best tasting carrots I’ve ever had. 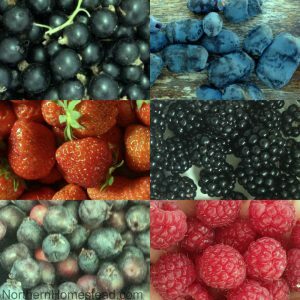 The ones in my cold room did okay – but the ones from the ground were still in perfect condition, and very sweet. This last Winter I stored my carrots in my cold room again. The ones that were in rubbermaid tubs with the lids on did the best. I did lose a few to rot, but not that many. We were eating carrots all Winter long even until the beginning of May! Everyone that tried them were so amazed at how great they tasted. I would like to try leaving them in the ground all Winter long like you do – that sounds much easier than digging them out of the snow. Miranda, thank you so much for sharing! 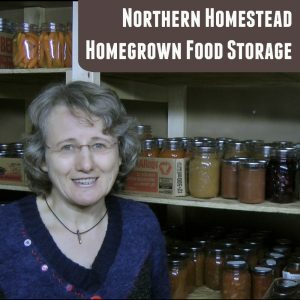 Those are great tips, to bury in the fall seems to be a great way to store carrots that do not grow close to the house, but can be stored there. The Rubbermaid tub sounds good to, question, did you wash them before storage?